Serving the People. Serving the World. Changing Lives. 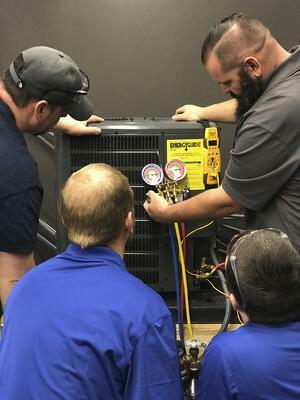 At our HVAC school in GA, we believe technician development is the lifeblood of the service industry and is the key for any HVAC business owner to develop a profitable enterprise that is able to deliver the highest quality service possible over a sustained period of time. What is Up With The Military Theme? Founder of All American Technician Academy Jerry Hall served for three years and was a member of the 82nd Airborne Division. 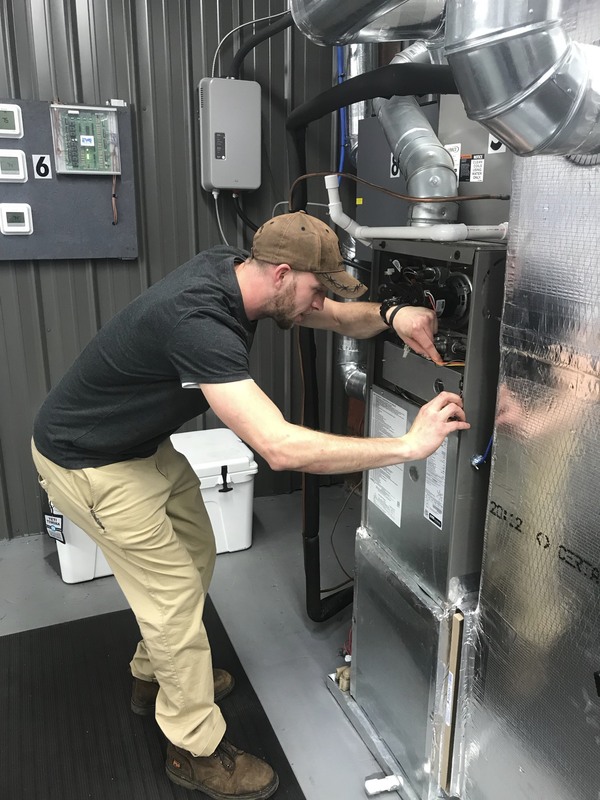 During his service, Jerry learned the valuable lessons of discipline, character, service and servant leadership that he brought to the HVAC field. It was these skills that were instrumental to his success as a business leader and as a person. Jerry wants to share that vision with each student that comes to AATA's HVAC school and hopes to instill the values that inspired his success. 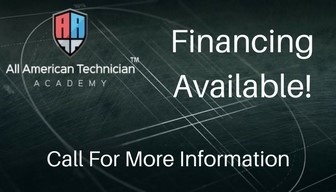 The All American Technician Academy offers a unique approach to technician training through our HVAC school in GA that is focused on the overall skills of the student as well as the mindset of how to approach the customer and how to sell a service well. Our systematic approach to technical diagnostic evaluation is taught through an experiential learning environment, where the student gets to instantly test out the new skills that have just been discussed. 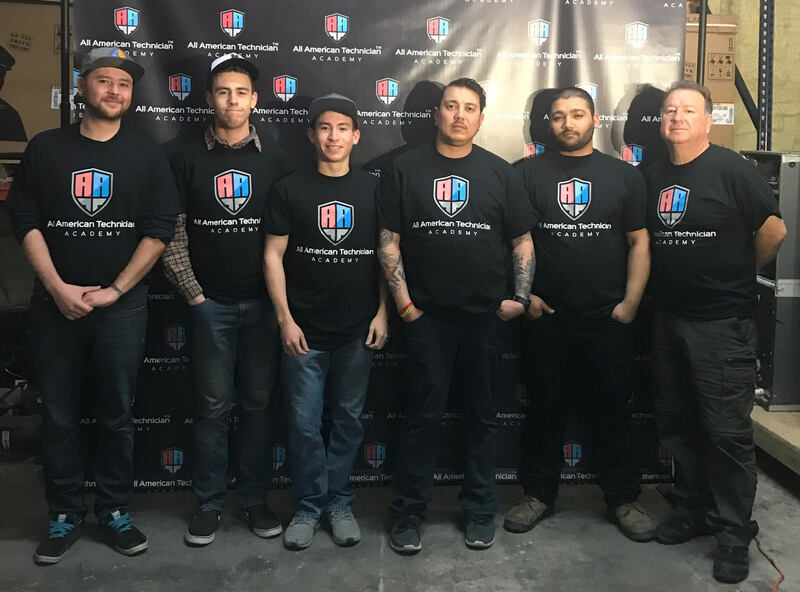 The classes are taught from the technician's point of view because our instructors have been where the student is and understand that developing the requisite skills necessary to build a successful career needs a solid foundation to begin on. Our real word service training model puts each student through the rigor of daily scenarios that they will encounter in the field. These scenarios are designed to be trained over and over until the student is truly able to grasp the skill from a conceptual level and a practical level. The HVAC industry employs over 400,000 people in the US alone. The services of HVAC technicians are in demand. This demand will continue to grow as the technological complexity of HVAC systems grows. 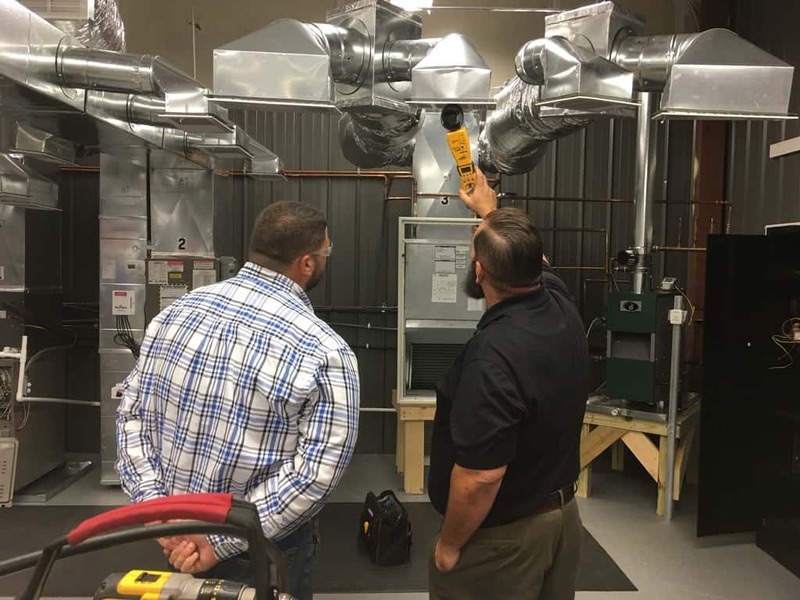 All HVAC technicians will need to develop practical skills to meet this growing demand. Our students come from multiple age groups, cultures and backgrounds. We are looking for all hungry students looking to launch their career the right way. 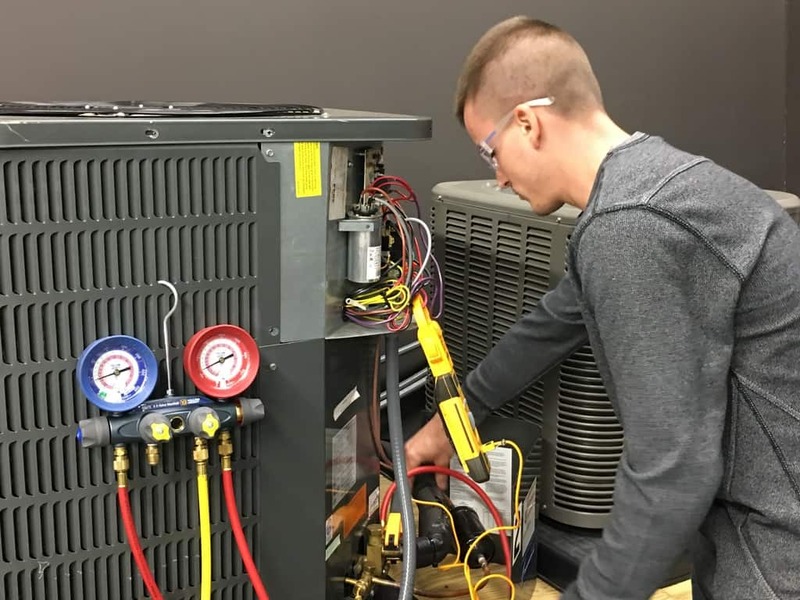 We want out students to get an education at one of the best HVAC schools in GA that will help them develop a lasting and plentiful future in the HVAC field. As our HVAC school motto states, All American Technician Academy is designed to "Serve People, Serve The World, and Change Lives". We are focused to develop our students to not only be excellent technicians but excellent people as well who have the confidence, focus, and determination to become leaders within their communities. Our 6-day Level 1 Maintenance Training Course will put each student on a fast track to career success. Workplace Safety; Duct Design and Balancing; CFM and FPM requirements; and Common Design Flaws. The Sealed System; Conventional AC and Heat Pumps; Superheat and Subcool Calculations; How it works & under what conditions; and Refrigerants and EPA Regulations and Guidelines. How all parts of the system work together; Defrost controls; Tools and Evaluations of the System; Sizing and Humidity Control; and How to achieve Maximum Factory Performance. Electrical meters and tools; Electrical systems and controls; Electrical troubleshooting; Electrical diagrams; and Complete review and Testing. AATA Course Exam and EPA Universal Certification Exam. The program empowers novice technicians to quickly jump-start their new career. Each novice technician works individually with a skilled coach on coursework and lab projects that are designed to progress each student at their own rate. "Action takers are the ones that don't let life happen to them; they make their mark on life by making things happen for them." 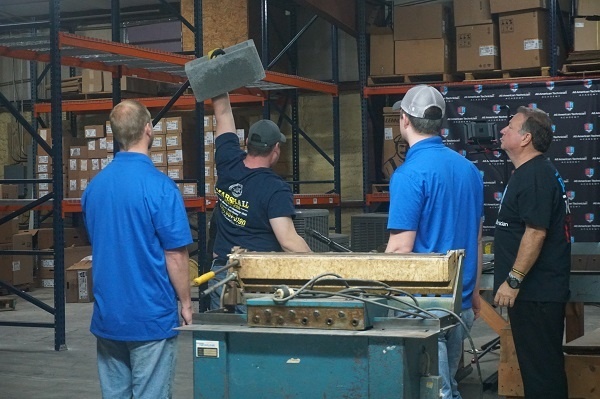 Your future satisfaction is in your hands, whether you are a hungry student or an HVAC business owner you can make an impact on your life and in your business today by joining the All American Technician Academy. Click the button below to sign up for our premier HVAC class. Proven leaders who can help make your service technicians superior to the competition!